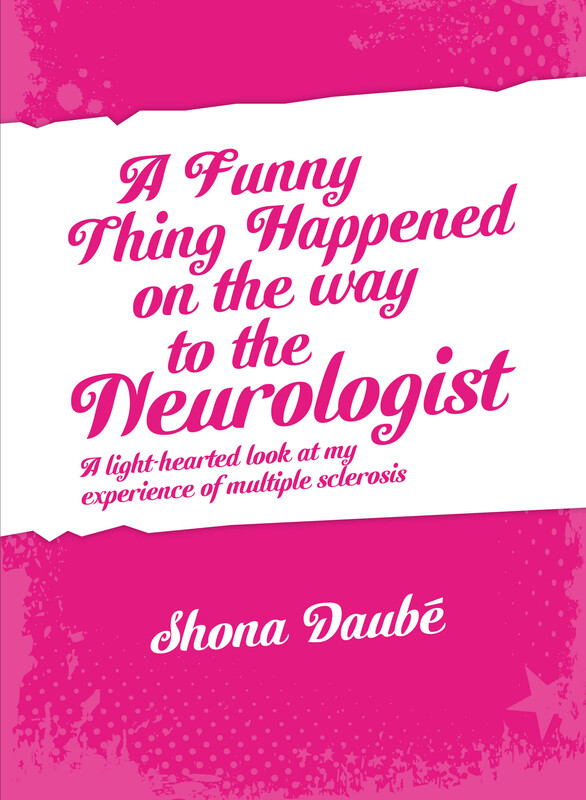 Shona Daubé faces the challenges of Multiple Sclerosis (MS) with humour and by writing a book – A Funny Thing Happened on the way to the Neurologist, a light-hearted take on living with MS. Shona wishes to increase understanding of living with MS and raise funds for the Wellington MS Society. Soon after diagnosis, at a workshop run by the Wellington MS Society Shona was introduced to Melbourne based Dr George Jelinek’s groundbreaking work in overcoming MS. Jelinek embraces traditional medicine as well as other approaches. He has developed a rigourously researched overcoming MS (OMS) recovery programme which promotes diet and lifestyle management. Jelinek’s programme has improved the health and lives of people with MS.
Shona lives in Carterton. From 12 December, A Funny Thing Happened on the way to the Neurologist will be on sale in Carterton at Toi Wairarapa – Heart of Arts, in Masterton at Hedley’s bookstore and through the Pink Cottage Publishing website. A Funny Thing Happened on the way to the Neurologist is written by Shona Daubé and published by Pink Cottage Publishing. The book price is $20. Proceeds from book sales will help fund Wellington Multiple Sclerosis Society’s field workers.